Looking for a quiet place to rest far from the madding crowd? Look no further! 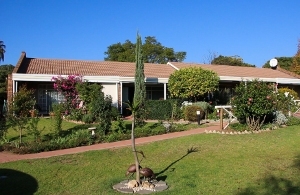 SUMMERFIELD PARK is situated at 41 Carlton Street, Jukskei Park (near Olivedale Clinic) and offers all round individual care and assistance for aged persons. 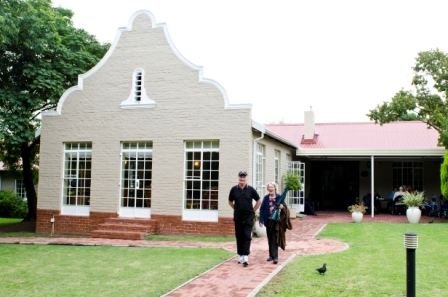 Accommodation in the beautiful, tranquil setting includes frail care and mid care in single and shared rooms as well as low care in single rooms with en-suite bathroom in our Lodge. Our care centre accommodation includes 24-hour nursing care, three nutritious meals daily and laundry service, as well as personal care under the supervision of a qualified matron and senior nursing staff. At SUMMERFIELD PARK we strive for excellence and the welfare of our residents is our priority. Our village boasts beautiful gardens which are home to an abundance of bird life. Affordable accommodation, both rented and life rights. All units are serviced and garden services are provided. 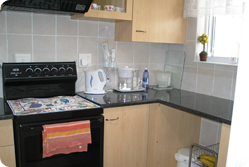 Dining facilities for residents and families. Transport to local shopping malls 4 days a week. Bible study and church services. Occupational therapy twice a week. Frail care, mid care and Lodge on a full board basis for a total of 90 residents. 1 and 2 bedroom cottages (with optional carport) available on a life rights basis. Self contained double, single or bedsitter flats at very reasonable rental rates. Most flats are on ground level, are north facing, and have patios and their own small section of garden.